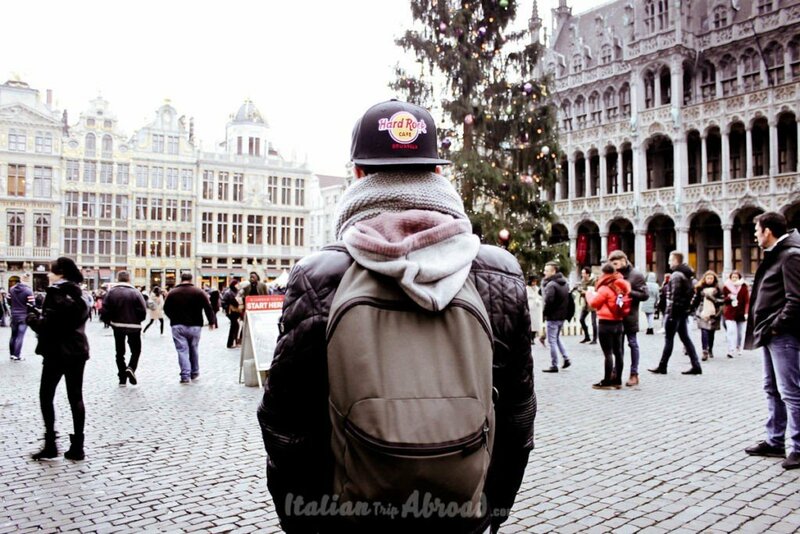 Visit Brussels in 3 days is not a mission impossible. It is one of the best walkable city in Europe with one of the biggest pedestrian city centre. It is the ideal city for backpackers and on a budget travellers, also the best option for food lovers. Brussels is an amazing city, even if there are many things to visit and is the Capital of Belgium and the place where is located the European Parliament, you can visit this city in just three days. You need just a good organisation and mapping your best sightseeing. Belgium is one of the most variegated countries in Europe, a mix of culture flow in Belgium. In Brussels, you will listen to a very mixed language. French, Dutch and German. Those are the three official languages in Belgium and then spoken in Brussels. There are no differences between the French you will listen in France and the one spoken in Belgium, even if there are slangs and local terms making it different a bit. The same rule is for the Dutch and the German, currently spoken in Belgium as national languages. The Dutch and the German spoken in Brussels is the same spoken in Germany or the Netherlands. This mix of languages is because of the position of the Belgian region, it is between the three countries. Across the nation, you will listen to all three languages in a predominant way compared to the proximity to the mother tongue. Belgium is one of the most touristic nations in Europe. You will find no problem at all to speak with locals due most of them speak English very well. The locals will love if you can speak in their languages like French or Dutch. Belgium is in the European Union, so as other countries it has the Euro currency now used by most Western European countries. As always we encourage you to don’t change your money at the local airport exchange due to the high fee. Try to go to the city centre, or ask your bank to provide some change before your travel. It is one of the financial centres of Europe, so you will find an ATM everywhere. Every square has a point where you can get cash. In any of the major airports and train stations, there are ATMs available. Due to the recent security problems in Europe, Belgium becomes one of the most controlled countries in the Europe Union. Right now there are no national security advisory in effect for Belgium, even if the attention level is really high. It is really easy to find the militaries with guns going around the city centre and the touristic attractions in territorial control actions. In Brussels, you will experience one of the best public transport networks in Europe. The Belgian network includes trains, subways, taxis, buses and suggestive trams. Brussels is really a small city, even if is rich in the sightseeing, you will enjoy the walkable city centre and if you want you can rent a bike. Brussels is a bicycle-friendly city, with a high way for the bikers. Brussels is covered by the Uber taxis network and you can get your guide for going around with city mapper, check your app store. The regular taxi fares are so expensive like in other European countries. We suggest to don’t rent a car for your trip, due the efficient public transport and the low chance to find a parking space for free. The private parking spaces are really difficult to find and really pricey. Even if we believe in slow tourism and enjoy the cities for long, Brussels is really affordable in 3 days. About where to stay in Brussels in 3 days, you will find a wide range of accommodation at any price. You can rent an entire room on Air BnB, or go for an expensive hotel in the city centre. As always the accommodation depends on your budget and on the comfort you would like. Without any doubt, we found accommodation even for 20$ for the night for two in a sharing house. 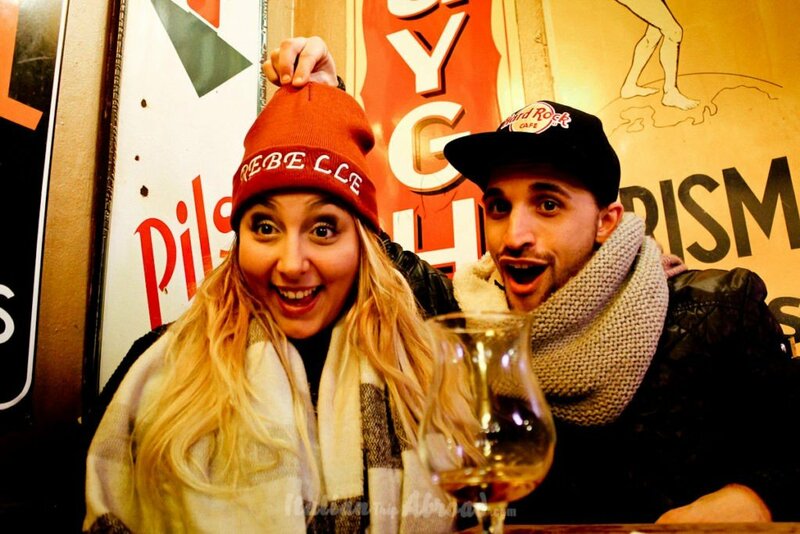 If you are a backpackers and will go more on a budget in the city centre there are a lot of students hostels or backpackers hostel where to stay in Brussels. The cost of a bed in a hostel it will start from 10$ for the night. In Belgium, there is not just Brussels, but it is also Ghent, the rich Antwerp or the beautiful Bruges, but even the delicious Liegi. From Brussels there are a lot of tours of Belgium, you can easily take a bus to Bruges or Ghent for a small price, less than 10$ each way. You can reach other cities in Belgium by train from the main station of Brussels. Even if somebody will think 3 days in Brussels are not enough to enjoy the city, we will encourage you to check your next flight and book it. Brussels is really worth to visit. Try to book your next trip to Belgium thinking to visit more than Brussels. Going around other cities. You can choose where start your tour, depending on your arrival time. 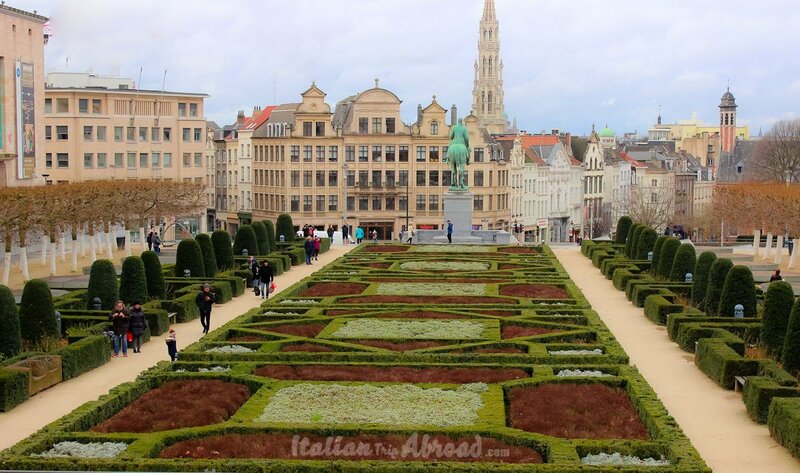 When we visited Brussels, we have left our luggage at our Air Bnb Apartment, almost 30 minutes away from the city centre by tram, we went directly to the World’s beautiful and colourful squares, The Grand Palace. The best attraction of your first step in Brussels is the Town Hall, an example of a Gothic building in a colourful contest, with other traditional Belgian Buildings and cobbled streets. Just around the corner of the Grand Palace, there is the statue mascotte of Brussels, the one gives everyone a reason to laugh. 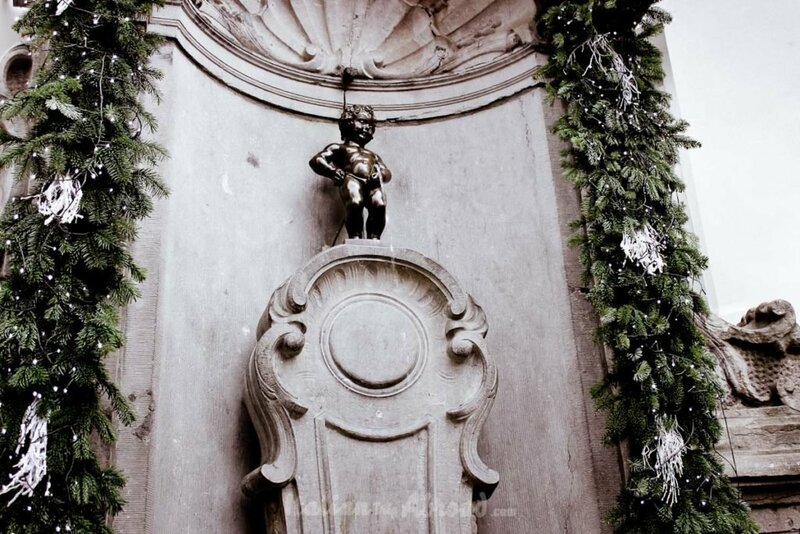 You don’t miss the Manneken Pis, a statue of a child who is urinating. The legend wants this kid pee on a bomb and lets it get off to destroy everything. Just on the way between the Grand Palace and Manneken Pis, there is a statue of another legend of Brussels, the Everard t’Serclaes. Legend wants you to make wish touching sliding from the shoulder to the foot of the statue. If you arrive in the morning, and still have the afternoon free and clear, we suggest visiting the Atomium. Its located on Avenue de l’Atomium. The structure was constructed for the 1958 World Fair, the Atomium has become one of the icons of the city. The night is coming, so it’s the time to see the light of Brussels. You can opt for end your day at Place Poelaert, The Palace of Justice. Here you can have a stunning panoramic view of the city and over that. Always in the second day of our visit, we fill up our bags and get over till night. Its a day where we still have a lot of energy, and still are curious about the city where we are. So fill your belly at the breakfast and go directly to the Musée des instruments de musique de Bruxelles (Musical Instrument Museum), a music museum which houses over 8,000 musical instruments. We suggest you pass from the Jardin du Luxemburg on your way to the Museum. Its a beautiful spot in the city, a good place to take pictures and post straight on your social channel. We been there and spend almost one hour, try to figure out all possible scenario for our pictures. There is the step going up where you can find the Museum just in front of you. The afternoon is the time to take some rest and get a beer or two. Belgium is the Nation of the good and tasty beer, stroll around the city center and find the best beer bars in Brussels. So, lose yourself in one of the Pubs with Craft Beers. After the afternoon rest, take the way to the lovely Boulevard de Waterloo. This is one of the main high-end fashion shopping centre street in the city. You can just pop in a chocolate shop and taste a good hot chocolate, especially if you are visiting Brussels in a cold winter. Belgium is well known in the World for the Chocolate, the Craft Beers and Cartoons like Din Tin and The Smurfs. Your last day in Brussels leave to you short time remaining, so you need to plan a short but important visit to the last. If you still have time before departure, we will suggest you take huge breakfast with a tasty Waffles with dark Belgian Chocolate (My favourite one, Alessia prefer the classic Nutella and sometimes put the strawberries). For a quick but important visit, you can go to the European Parliament. There is a basic section called “Parlamentarium”, where there is explained the history of Europe and how is the actual composition. 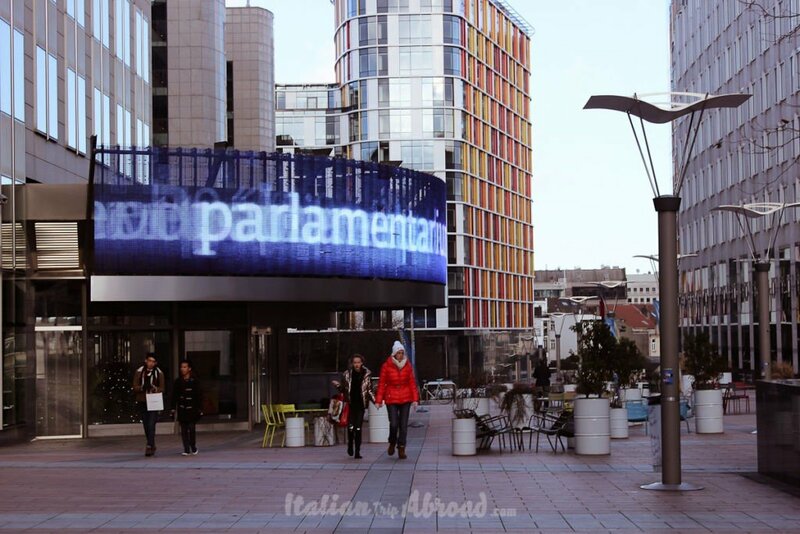 The “Parlamentarium” is an interactive explanation of the European Union, from the basis to the actual composition and the government. Really interesting to know the European History, grouped in a museum dedicated to showcasing Europe’s History and culture. If you want to do more in Brussels there are a lot of other places to visit. We suggest joining one of the walking tour taking place in the city centre. Some of the best city tour and walking tour of Brussels starting from the main square where is located the Gran Palace. Brussels is hosting some of the best World Heritage site and Unesco World Heritage locations. One of the suggestion to visit is mini Europe, but for it, you need a day trip plan. 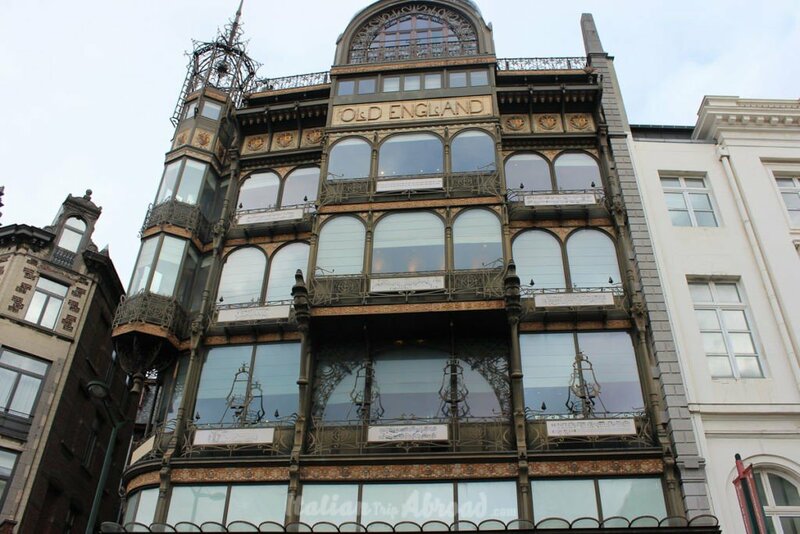 If you feel to shopping go for the Galeries Royales Saint-Hubert, it is just behind the Grand Place, the Royal Palace and not that far from the Musical instruments museum. For first time travellers focus your itinerary on the city centre and you will have one of the best experience in Belgium, rich of fine arts, second world war history, with a lot of day tour and one day trip. Do you have any suggestions to add to this post? Have you been to Brussels and want to share your opinion. Comment below and start the conversation, we are happy to get in touch.